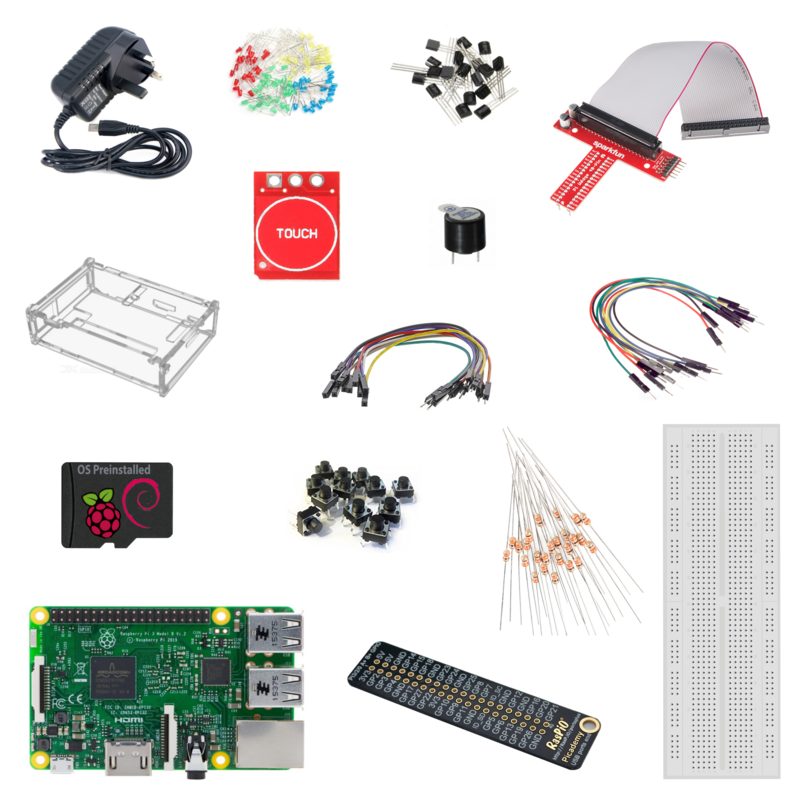 New to Electronics or programming ? No need to worry now, the Raspberry pi is only for you. 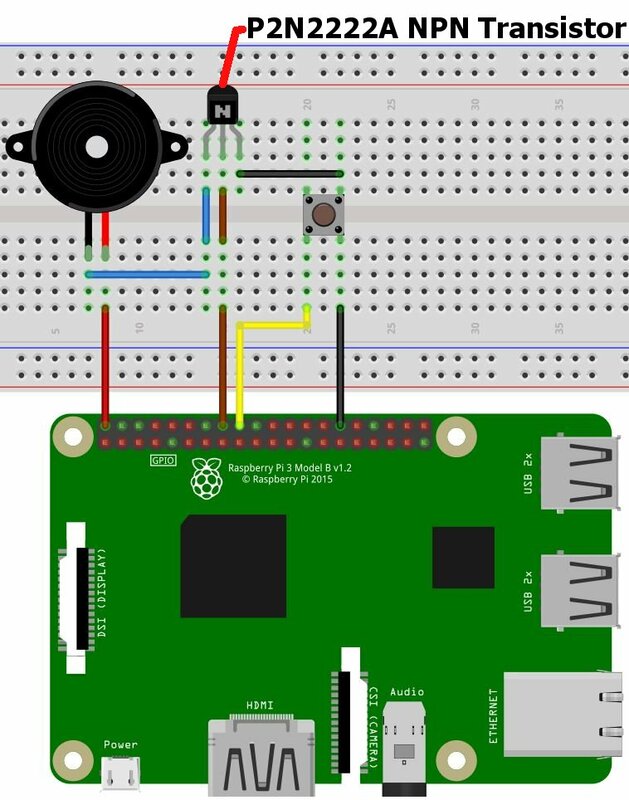 If you are beginner, we will recommend you to go through our Raspberry Pi Blogs. We will recommend you to go through these set of videos before getting started. Lets have a look at set of contents we are covering in this tutorial. The RasPiO® Portsplus board is designed for the new Raspberry Pi 3/2/A+/B+. It labels the ports clearly for you so that you don’t need to count pins. 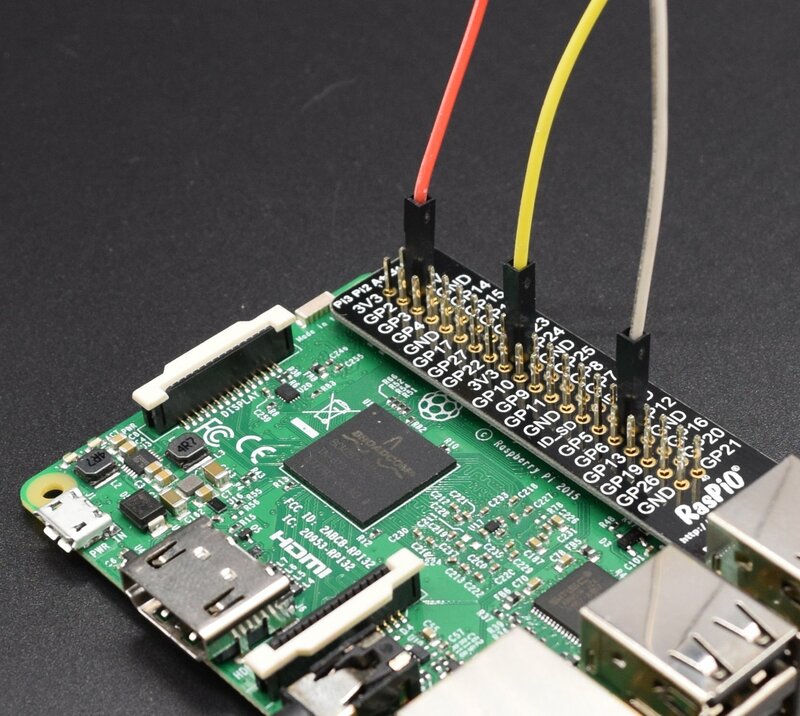 This will help you avoid wiring errors and damage.You can slip it over the GPIO header if you want, or hold it next to the header.RasPiO® Portsplus has GPIO port numbers on one side and Pin numbers on the other side, so you can use whichever numbering system you prefer. At just 1mm thick, it leaves plenty of space for attaching your wires. It’s thick enough not to feel flimsy, but thin enough not to be clunky. Refer the image below, to see how to use RasPio Portsplus. 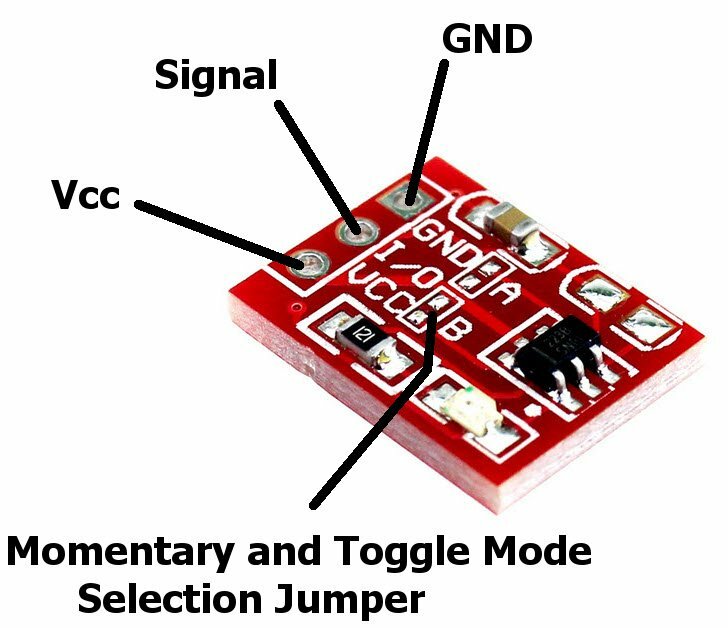 One of the most elementary and easy-to-overlook circuit component is the switch. Switches don’t require any fancy equations to evaluate. All they do is select between an open circuit and a short circuit. Simple. But how could we live without buttons and switches!? What good is a blinky circuit with no user input? Or a deadly robot with no kill switch? or any remote or mobile with no buttons? What would our world be without with big red buttons.A switch is a component which controls the open-ness or closed-ness of an electric circuit. They allow control over current flow in a circuit (without having to actually get in there and manually cut or splice the wires). Switches are critical components in any circuit which requires user interaction or control.A switch can only exist in one of two states: open or closed. In the off state, a switch looks like an open gap in the circuit. This, in effect, looks like an open circuit, preventing current from flowing.In the on state, a switch acts just like a piece of perfectly-conducting wire. A short. This closes the circuit, turning the system “on” and allowing current to flow unimpeded through the rest of the system. A circuit with an LED, resistor, and a switch. When the switch is closed, current flows and the LED can illuminate. Otherwise no current flows, and the LED receives no power. There are tons and tons of switches out there: toggle, rotary, DIP, push-button, rocker, membrane, … the list just goes on and on. Each of those switch types has a set of unique characteristics to differentiate it from others. Characteristics like what action flips the switch, or how many circuits the switch can control. You can check the different types of switches we having with us.Transistors can be regarded as a type of switch, as can many electronic components. They are used in a variety of circuits and you will find that it is rare that a circuit built/available in school Technology Department/ Laboratory does not contain at least one transistor. Even the things you used in your daily life, i.e mobile, tv, computers, etc all comes with tons of transistors built into it, transistors are central to electronics and there are two main types; NPN and PNP. Most circuits tend to use NPN. There are hundreds of transistors which work at different voltages but all of them fall into these two categories.We had added detailed tutorial on ” Getting started with switch, transistors and buzzer on breadboard “ , so that you will clearly understand the basics of switches, transistors and buzzer. 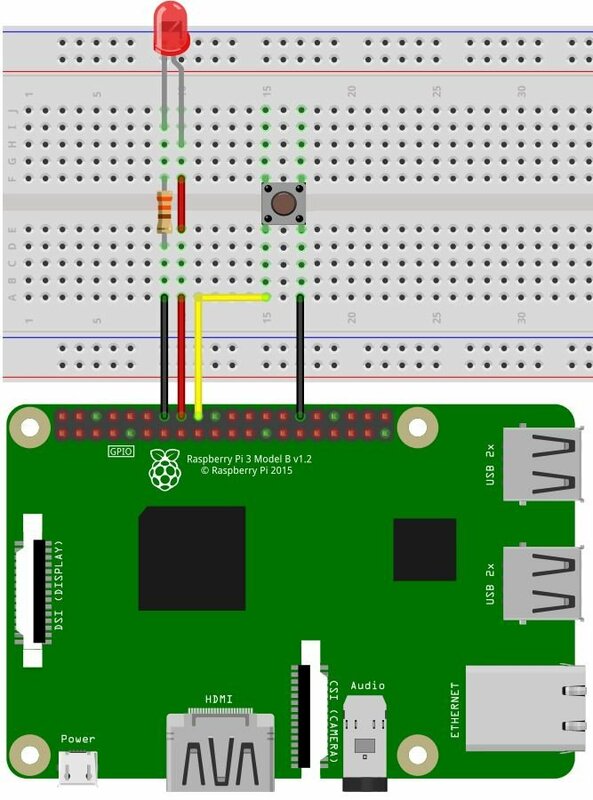 Its time to expand your GPIO pins from the Raspberry pi and made it accessible for Breadboarding. The preassembled 40-pin Pi Wedge will let your Pi pins broken out to a breadboard so that they can easily be used. The Sparkfun has already added a detailed hookup guide on their website, we will recommend you to refer this tutorial to understand pi-Wedge better. 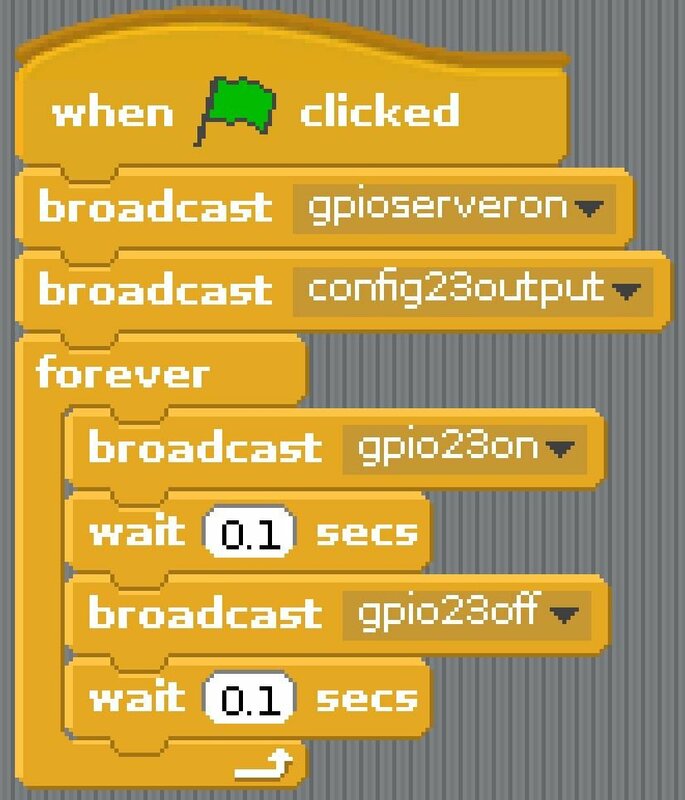 Scratch is a visual programming tool which allows the user to create animations and games with a drag-and-drop interface. It allows you to create your own computer games, interactive stories, and animations using some programming techniques without actually having to write code. 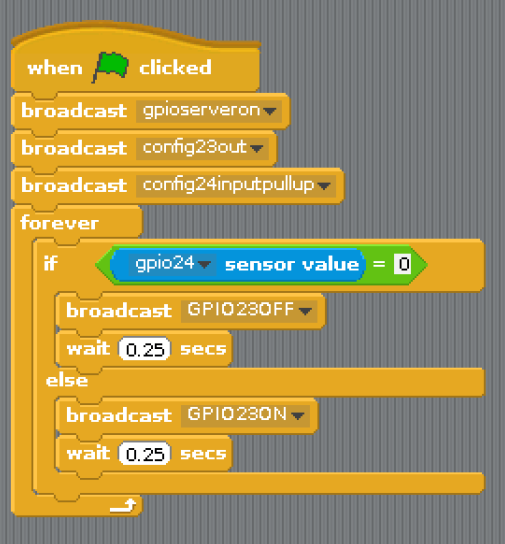 This resource will help get you started with the basics of Scratch. The Raspberry Pi learning resource is provided for free by the Raspberry Pi Foundation under a Creative Commons licence, which we are able to access from their website, you can find the resources here, please go through “Getting Started with Scratch on Raspberry Pi Tutorial” to understand the various features and application of the Scratch tool. To begin with, we will recommend you to open the IDLE from the following path: Menu -> Programming -> IDLE 3/Python 3 and you will find the Scratch in the Same path as well: Menu -> Programming -> Scratch.We had added the python code and Scratch Project in the following link, you can save/download the file in your system, click on the respective icon to open/download the file. Since we had replaced the tactile switch with Capacitive touch module in this circuit and we let the LED stay as it is like in the previous steps, thus the code which we used to control LED with tactile switch will work for this module as well. Note: We had used GPIO pin 24 to connect Signal pin of the Capacitive touch module thus the previous code will work for this case as well, but if you had used some other pins for this module, make sure to change the pin numbering in the code as well. Till now, you have seen the LED indication in the output side, now its time to add some sound to the circuit, since you had already worked with ” Getting started with switch, transistors and buzzer on breadboard “ tutorial, this step is going to be easy. Refer the modified breadboard connection for the circuit. We are not adding any specific code to this section because the circuit is connected to work with all the three codes described above, so we will recommend you to run all the three codes again for the above circuit, try to add and change the delay in the code, so that you can hear the variation in the output.Since you already understood the basics of various components and its interfacing and programming in scratch and python, we are giving you challenge to breadboard RGB LED we provided in the Kit and write your own Python and Scratch code for the same, to made it glow for different combination of colors. Let us know your feedback on this and we are happy to help you, if you found any issue or difficulty in any circuit or have any queries, please do let us know.